You are here: Home / Blog / News / Interested in providing ENT services in Primary care? 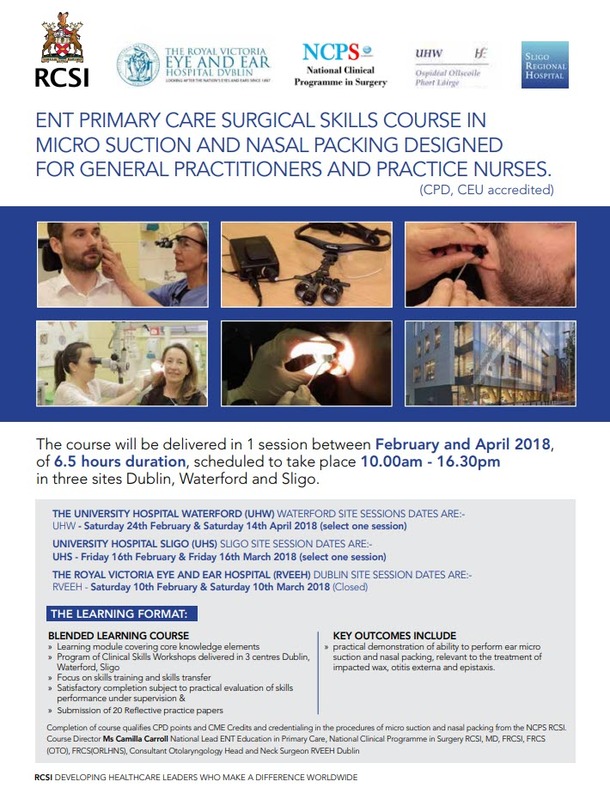 ENT Primary Care Surgical Skills Course in Micro Suction and Nasal Packing designed for General Practitioners and Practice Nurses. This RCSI course will be delivered in 1 session of 6.5 hours duration between February and April 2018, scheduled to take place 10.00am – 16.30pm in three sites Dublin, Waterford and Sligo. There are currently places available on the next course, this Saturday 24th February in University Hospital Waterford. 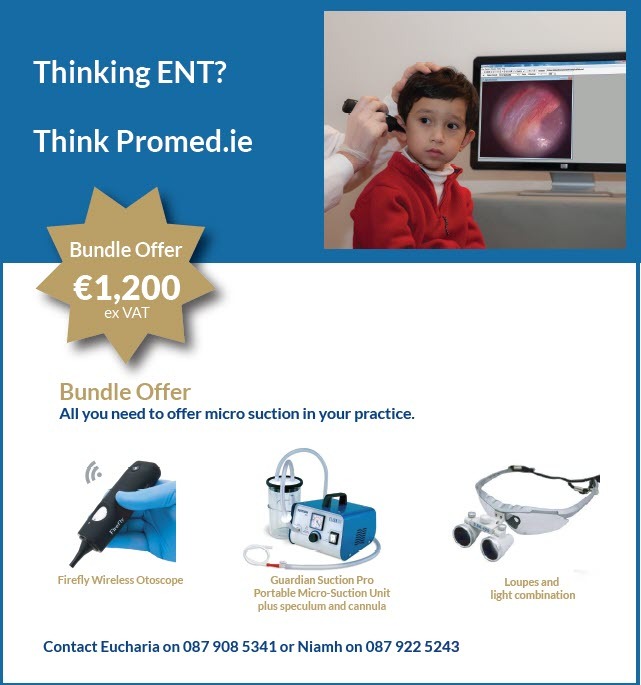 Why offer ENT micro suction in Primary Care? Evidence is showing that hospital waiting times for ENT services varies from county to county and can be as long as 24 months. 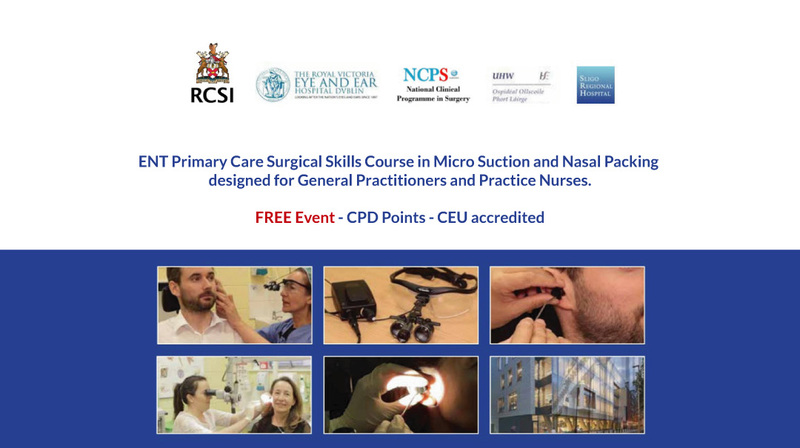 This FREE RCSI course offers CPD points.